Outside the Box: What's the Problem???? The problem-solving strategy in school psychology is made up of 5 components including a 4-step problem-solving method and a problem-solving framework detailing 4 levels of intensity of intervention. Peacock et al. (2006) stress the interdependence of these two components. A basic understanding of these factors is not enough; it takes intense training and experience for school professionals to become proficient in implementing these strategies in their practice. In addition, there are specific assumptions that a proficient school psychologist needs to adopt in order to reap the full benefits of the problem-solving model. These assumptions are that the scientific method guides decision making; that direct, functional assessments provide the best information for decision making; that learning is an interaction between curriculum, instruction, and the environment; that all students can learn; and finally, that effective interventions are matched to unique student needs. The problem-solving model also requires intensive training of all school professionals in tool skills, data collection skills, and ongoing support for implementation. Finally, sound implementation of problem-solving strategies requires aligning all the key components to ensure that they work together as effectively as possible. 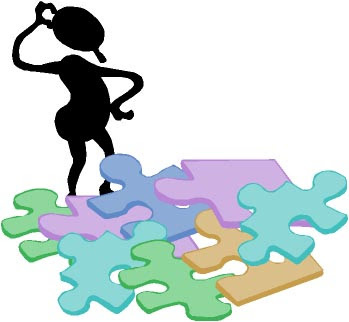 Given the current trend in school psychology of full inclusion, RTI, etc., which emphasize interventions at every level of instructional need (the entire school population), would the rigorous training necessary to implement problem-solving strategies be something you would support? Do you think any one component of this model can stand on its own, or is the problem-solving strategy an all-or-nothing approach? This Blog was created by Kyra Labisi and Amber Porzio. well i think that the trend of full inclusion and RTI trying to cover the entire school population in intervention does have it's merit. on the other hand this has nothing to do with the fact that no matter what kind of strategies are created and however good they might be there will always be students that are not going to be able to work within that strategies guidelines and is going to need the one on one attention of a program built for them. Yes the training for these problem solving techniques may be intensive but i do believe that they are important because i feel that the ability to form your interventions around each individual student is where you are able to really find some success. I agree with Kevin. The intensive training is more work for school psychologists and educators but our job is to serve the students in the school the best way we can. Each student is different with different learning styles, personalities, and background. The school wide problem solving techniques enable the school to better serve those students who will fall through the cracks of the more higher curriculum and performance standards. One can complain that it is more work, but we need the best strategies, tools, competencies of the time to be able to best help those students who are going to fall through the cracks and not perform as well as others. I think it's important to implement these strategies too, but what happens if all but a few team members commit to the rigorous training necessary to implement them? If a few team members (or even just one) fail to follow through with problem-solving procedures, is it reasonable to assume that all is essentially lost? I'm a true believer in utilizing the scientific method on a daily basis and in my decision making at work so I was happy to see it being referred to in the chapter. I think following the problem-solving model will help us be more competent in our roles as school psychologists. It is a rich model and I think if one puts in the work in the beginning and practices this model rigorously, then it becomes a habit that stays with someone through their career. I think we've heard that we shouldn't develop bad habits as school psychologists in training as this could stay with us and harm us. I feel the same way about putting in the hard work that this model requires and learning as much as possible so it could part of our practice. I don't think just one of the components of this model can stand alone. They are all intertwined in order to have full effectiveness. I dont think that all is essentially lost because your team members should be working together on cases, not independently, so we would hope that if one isn't following through, another will catch it and speak up. I think if one team member is going through this training, he/she will either share what they are learning or suggest that they all go as well to be successful and help students as best as possible. I agree with an article I recently read in NASP ("The Role of the School Psychologist in the RTI Process"). The RTI process as it relates to the involvement of school psychologists in the public school system is a multi-tiered one. It can be an effective means of making important decisons about general education, special educational services, and compensatory requirements. Although, it can be perceived to be a means of adding more work tasks to an educators' (particularly school psychologist) already full plate, RTI can/should be perceived as a reallocation of services. If a school district wanted to proactively address student needs, it would be beneficial for school psychologist to concentrate their efforts in addressing preventative and early intervention issues. As I think about what I'm writing, this thought process would certainly change the "traditional" psychometric test approach school psychologists have to include in their busy schedules. I have to agree with Kevin, while full inclusion and RTI work for many students, there will always be students that need something else. Do we let these students fall through the cracks? No, of course not, this is where our job as a school psychologist becomes challenging. We have to use our knowledge, resources and training to build a model that is suitable for them. This is not something that should be done by the school psychologist alone, the child study team, gen ed teacher, special ed teacher, specials teachers etc should all be involved in this process. @Kyra I don't think all is lost if the school psychologists are properly trained in not only the problem solving procedures but also the skills necessary to implement the new strategies. One can not jump into a program without knowledge of how to deal with issues that will arise when the program isn't being followed according to plan. From our readings, they stress that there is a lot of pressure on the school psychologists to be aware of what teachers and colleagues may be in need of more support to learn how to take part in a problem solving program. If, down the road, there are people not implementing their duties to the collaborative problem solving process, we must be confident and able enough to assess and fix that problem to make sure that all are on the same page. Implementing new strategies must be put into effect when we are fully able to explain, teach, and coordinate a plan to our colleagues. I fully agree in that certain methods will never be appropriate for all students. Although school psychologists can only benefit from training, I do not think all efforts would be lost if a couple staff members do not attend these meetings, since important information should be shared among professionals. I also agree that the problem solving model is a great way to look at problems which come up, and try to find the best solutions for that particular student. I agree with what a few people have said, in terms of interventions and strategies not working for everyone. I don't really think we can expect them to, but if implemented correctly, they should be able to assist the majority of students. Like Monique said, for the students that slip through the cracks, there needs to be something else in place for them. Whether it's a committee or a team of educators (special and gen. ed.) in school that acts as the lifeline, there needs to be something set in place. Like Toyin, I also believe in the problem-solving method. We've read about it in multiple classes, emphasizing its importance. When used properly and consistently, it simply works. Training is a necessity and as school psychologists we do need to take into account the diversity of the student population. The problem solving model is a great tool to use. But, Monique makes a great point, there is always another student that needs something different. It is here where all of the professionals need to work together and build a model to better service this child. Additional training is always a good thing, you can never know too much. The strategies can still be beneficial even if a couple of staff members opt out. I don't think it's all or nothing. There are always going to be students who need something tailored specifically to their needs. The district I’m completing my practicum in does a great job with tailoring things to meet the students’ specific needs. This flexibility reflects the CST going above and beyond to work well with Guidance and teachers. Good communication results in a great experience for the students, an experience where their individual needs are addressed so that they can make progress. I agree with implementing these strategies, as said the scientific method i find to be essential in problem solving. Also i am concern if every staff member would use these rigorous problem solving techniques.